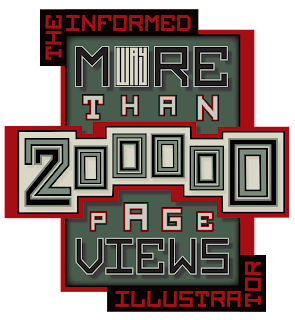 Thanks to your patronage The Informed Illustrator has now surpassed 200,000 pageviews. 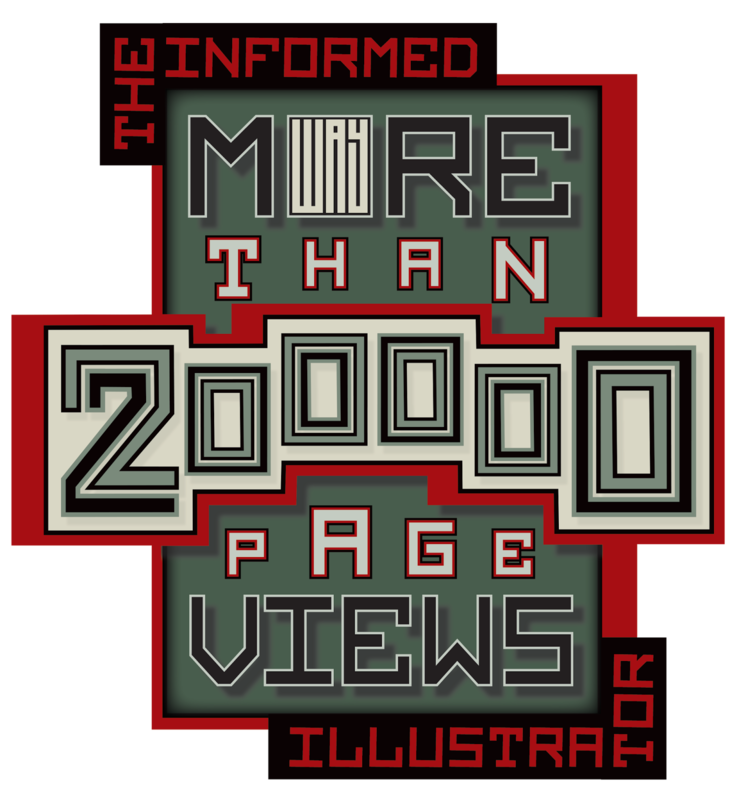 I intend to continue to create and update information continues to benefit illustrators and the practicing arts communities. Many aspects of illustration have remained constant over the years while others are in flux and constantly changing. As a form of social media this website is an example. Social media has given illustrators unprecedented access to the works and thoughts of other illustrators, through display, tutorials, demonstrations and writings. Illustration techniques and information about what it takes to be an illustrator are being shared globally. The illustration community has been expanded with a new ability to reach admirers, clients, and colleagues. And it has provided a great opportunity to create another commemorative emblem.